ACTIVITIE AT DOW BOUTIQUE (Between Halls 9 and 17) Find out how you can improve load stability, minimize cargo waste and ensure goods are transported safely. Check our activities programme at INTERPACK 2017 and discover our innovative packaging technologies and how can we contribute to the improvement of all kind of companies. LET US BE YOUR RESEARCH PARTNER! SPEAKING FORUM INNOVATION PARC PACKAGING: Don't Throw me, I'm still fresh! Disruptive Intelligent packaging technology to replace estimated date of expiry for an accurated control of food deterioration. Handling, Storage and Distribution monitoring and high performance packaging to avoid food losses. ITENE & with Dow Europe. Success stories on shelf life extension of fresh products through packaging to avoid Food Waste. ACTIVITY AT DOW BOUTIQUE (Between Halls 9 and 17) Find out how you can improve load stability, minimize cargo waste and ensure goods are transported safely. Active packaging can release beneficial natural substances to improve conservation or other property, and also absorb substances capable of damaging the product packaged. Foodstuffs are different in nature and composition, so specific research is needed to develop the most suitable solution case by case. - Optimum conservation of foods / cosmetics / etc. The Research and Development in new packaging materials makes possible achieving results that were difficult to obtain in the past. New additives coming from nature help improving mechanical, thermal, barrier and other properties when applied to the packaging. ITENE develops novel functionalities in materials also with the use of blends, coatings, specific processes and composites. Improve up to 60% Barrier, Thermal and Mechanical properties of cellulosic, polymers and biopolymers with tailored made materials. - BIODEGRADABLE POLYMERS (PLA, PHA, etc...): Commercial alternative to those currently used, derived from oil. - CONVENTIONAL POLYMERS (PET, PE, PP...): To reduce material used. - PAPER AND CARDBOARD: To increase barrier, thermal and mechanical properties. All the developed materials are finally tested in accordance to their final application, evaluating their safety according with the different applicable legislation. Intelligent packaging systems improve product control throughout the distribution supply chain and inform the end consumer of the conditions of the food they are buying. This technology is also used to develop anti-counterfeiting systems, thus improving product security. products or its distribution conditions. OBTAIN 100% control product quality along the supply chain, inform user and consumer about current product spoilage and detect counterfeiting . Ink that monitores the freshness and deterioration of the product through an indicator label. - MONITOR THE QUALITY: Control Shelf-Life / Guarantee Food Safety / Better consumers protection. ITENE develops packaging solutions adapted to the needs of the product. This aspect is extremely important when extending the life of foods. It investigates and develops packaging solutions and technologies to protect the product from the environmental conditions (light, oxygen, microorganisms, and material inertial). The aim is to length their useful life, maintain intact their organoleptic properties and their quality, and also guarantee the food security. Interaction between product, pack and environment: adequate selection of materials and packaging. Development and evaluation of materials and actives packaging: liberation of antimicrobials and antioxidants compounds; oxygen and humidity absorption, etc. Negative interaction between product, packaging and environment: resolution of problems and deficiencies or behavioral changes of packaging materials. Verification of traditional and new materials food security. NE Research Center participates actively at the world's largest packaging trade fair INTERPACK in Düsseldorf, Germany, presenting multi-material and sustainable packaging solutions. This edition, ITENE will have a double presence as exhibitor: a space located in the Save Food Innovationparc Packaging area, where it will show all the technologies to avoid food waste and food loss. 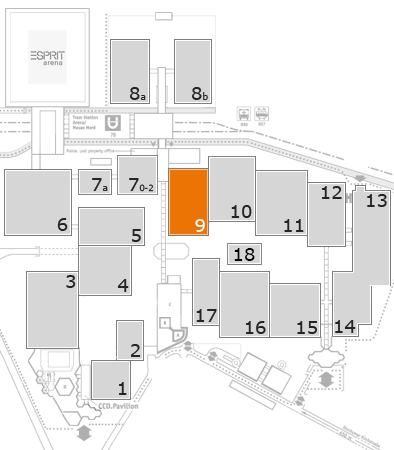 And it will have another space in hall 9 (stand D08), where it will present new high performance materials (with improved barrier, mechanical, thermal properties) and intelligent and active packaging systems to enhance food safety, as well as equipment for the simulation of transport and testing to solve problems in distribution and optimize the packaging system. ITENE will present business cases of patented technology to extend the shelf life of foods up to 50% compared to conventional conservation systems. For instance, the Center has a packaging system for mushrooms that allows a 100% humidity control. It will also exhibit a printable colorimetric indicator for poultry products already on the market, which changes its color as the deterioration of the packaged product progresses. Therefore, consumers can be aware of the real spoilage of the product, not only through the estimated expiration date printed on the packaging. Another novelty is the presentation of the first device in the market that allows to detect more precisely what are the risks that the packaged loads face during its distribution process. The transport is multiaxial, and it means that the vibrations that occur in the loads not only are vertical or horizontal, but they do it from all the axes. Having such data allows to make better decisions and design a packaging system that ensures the integrity of the product more efficiently. In addition, ITENE will exhibit a biodegradable and compostable packaging solution, which improves the barrier and antioxidant properties of conventional PLA, improving the product shelf life in 18 months. The Center will make a visual demonstration of the process of biodegradability and compostability of a natural cosmetic packaging during three months. - Its mission is to generate scientific and technological knowledge and adding value to companies through the implementation of R + D + i. - It provides business solutions with an integrated view of the supply chain, from raw materials, design and development of packaging and packaging systems, optimization of the movement and distribution of goods, until the products reach the consumer and are ultimately managed as residues, all within a framework of sustainable performance. - It has advanced facilities and a multidisciplinary team of researchers and technicians with a proven and constantly evolving. - Collaborates with research centers and companies around the world, encouraging cooperation and technology transfer, with a vision oriented towards the needs of the environment in its areas of activity. - Contributes to improving the competitiveness of the industrial fabric multisectoral, increasing product quality, promoting internationalization and optimizing its supply chain, among others.